Thank you. You are correct. Yuri Malenchenko is his replacement. 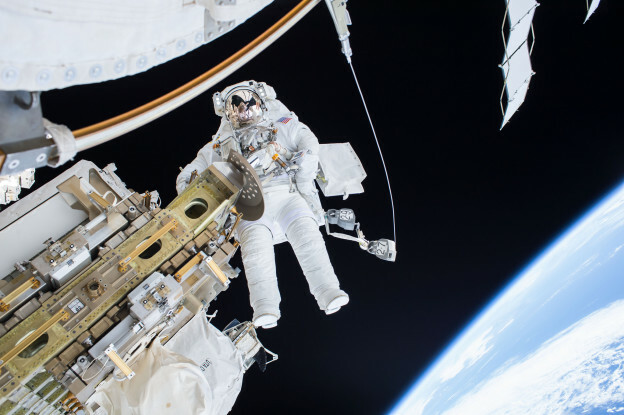 DEAR ASTRONAUTS, I WLL TRY TO IMAGINE HOW WOULD I FILL IN A SPACE WALK, IT SEEMS TO ME , THAT THE MOVEMENT ODF THE BODY IN SPACE SUITS IS SOME LIMITED, COMPARED TO THE SAME ON EARTH AND MORE LIKE FLYING AND SLOW SWIMMING… HOW YOU FILL IN THAT EXPERIANCE? How can I watch this spacewalk? We want to wish you a safe space walk and we hope you return to Earth safely, soon. I wish you all the crew members a happy journey in space. Iam mad in going to space and I love experiencing space walk by wearing a space suit like. Or you people perform it. I wish, one fine day I ll be their in that same space station and getting ready for my first space walk.great really hats off to all I great minds and brave hearts of the globe…. I am glad Time Peake will get his spacewalk. It has taken incredible determination and focus to reach this goal. I wonder, now that you look down upon this struggling planet whether your thoughts have changed. So many of the problems of this world arise because we live our lives without thinking of the big picture. I will look up and wish you luck on the 15th.